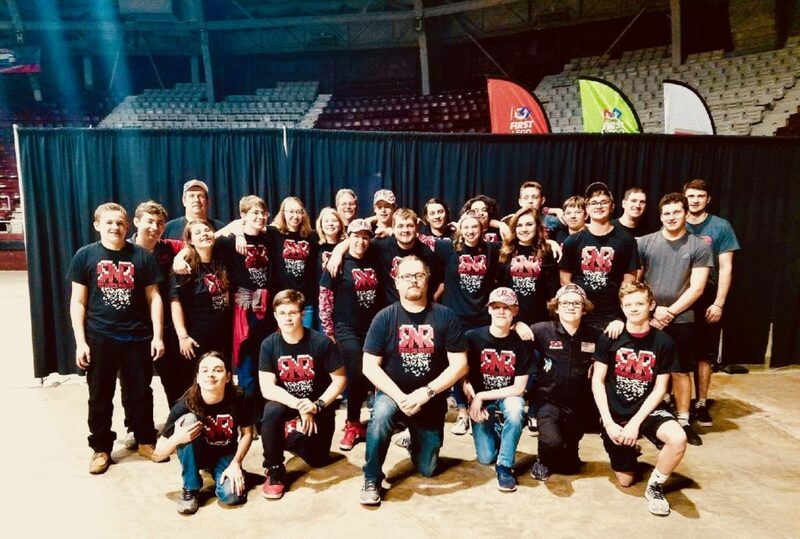 Red Nation Robotics brought home a huge victory last week, and now they’re looking for sponsors to help them take the world by storm. Red Nation, the robotics team based at Halls High School, also serves students at Halls Middle School and Powell High School. 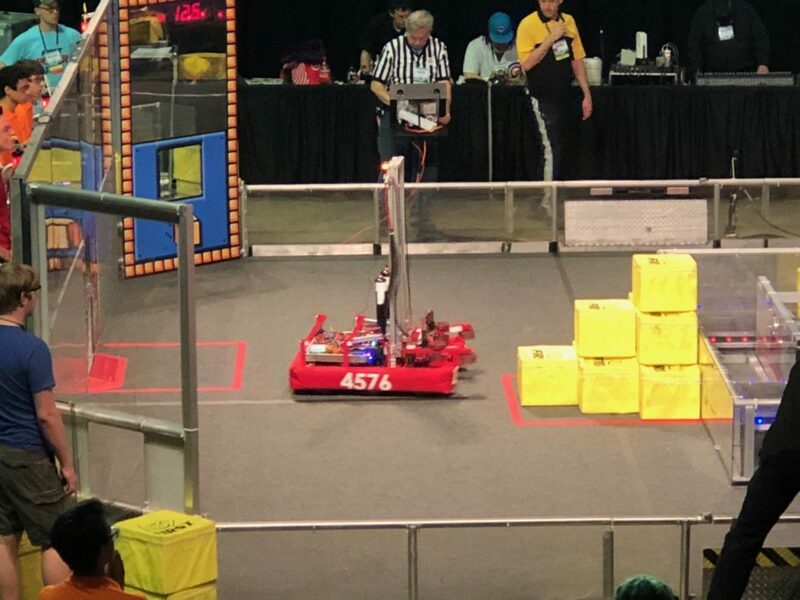 Over spring break, they placed second in the FIRST Robotics regional competitions in Little Rock, Arkansas, earning a spot in the World Championship April 17-21, in Houston, Texas. The student-led team is raising $20,000 to pay for the whole team’s registration, transportation, lodging and food at the prestigious event, and they’ve already hit $10,000 of their goal. “We get to represent our region at such a prestigious competition,” said business team lead Sarah Norris. This is Red Nation’s second trip to the World Championship, but the last was six years ago, before any current members were on the team. Teams in FIRST Robotics aren’t just judged on a robot’s performance, although that’s a big part of it. 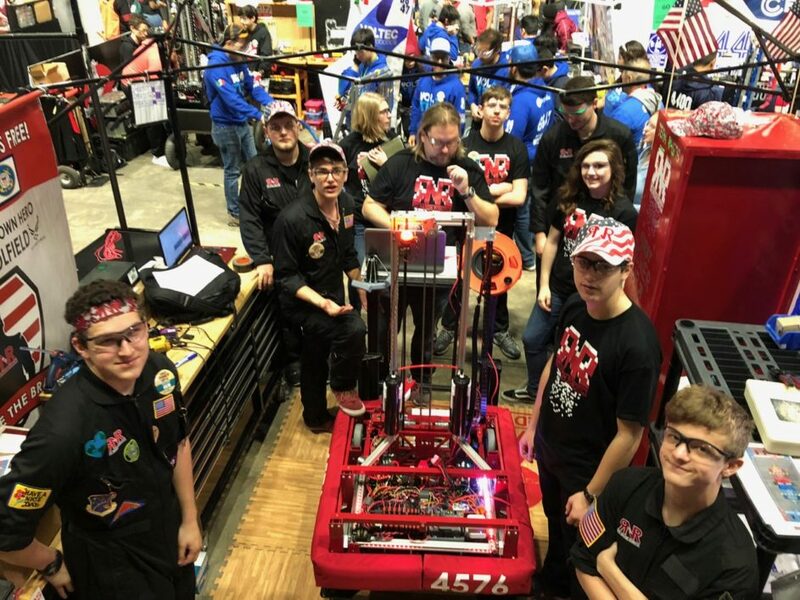 “As a team, we are judged on our character and business plans and entrepreneurship, not just the robot but how we work as a team behind the scenes,” said media team lead Carley Baldwin. Everett said the team showed true tenacity at the regional competition. On Friday evening of the tournament, Red Nation was ranked 55th out of 55 teams, but the group rallied, changed the plan. Programmer and driver Luke Whatley stayed up until the wee hours of the morning rewriting the robot’s code. “I’m tremendously proud that they didn’t wallow in their sorrows,” said Everett. It’s also important to remember that Red Nation is doing its work without major corporate sponsorship, which some FIRST Robotics teams have plenty of. To get funds together for the upcoming trip, the team is offering some new, tiered benefits for sponsors, including logos on the pit banner and trailer. Donations are tax-deductible. Visit their website via this link for more information. “I’m just happy that now we have time to do what we’ve always been doing: growing as a team,” said Davis.